We are in a philosophical world, believe it or not. Nothing is static. Everything is continuously in motion.Yesterday, it was Jeff Sessions at the receiving end of the liberal's hammer for accepting to be President Donald Trump's attorney general. Sessions recused himself from managing the Robert Mueller's investigation into the alleged Russia's meddling in the 2016 elections. Sessions decision to recuse himself stalled the relationship between him and the president, not because the president had something to hide, but that Sessions decision took him out from attending to what was the most important aspect of his job at the time. Viewed in another way, the liberals succeeded at turning the president and the attorney general against each other, because an attorney general's decision to recuse is like accepting to tie his own hands to not do part of the job of his office. Would not it have been better to resign than recuse and allow the president appoint another fellow ready to do the work? The expected resignation of Session came eventually with the midterm election results. And Mathew Whitaker becomes acting attorney general, and the call by liberals for him to recuse himself and go the way of Session in his relationship to the president has become louder. But why should Whitaker recuse himself? Do the same like Session against the president? When did it became a moral crime for people to hold an opinion on current issues of the day and that such people who have personal opinions should not hold an office managing an issue in which they have personal opinions? Is there anyone who does not have an opinion issues of the day and that the sins of those expressing their own opinion is their boldness of speaking out? Were the liberals unaware that Session's recusing of himself tied the president's hands in the war over Russia's alleged meddling, which for now looks non-existent, and curious observers think the Mueller's investigation acting beyond the alleged Russia's meddling requires equal robust fight from the president to save himself? Do the liberals expect the president to fold his hands and allow angry and vengeful liberals efforts to get rid of him from office, over his victory in an election? Why should anyone waste time on Whitaker's acting capacity as attorney, when information reveals that Mueller is near completing his assignment? Of course, the liberals have more than the Russian alleged meddling to tackle the president for winning the presidential election instead of allowing their candidate to win. Does not the president the right to defend himself against non-existing Russian meddling against an occasion by his enemies to go beyond the mandate of the investigations into the Russian alleged meddling? 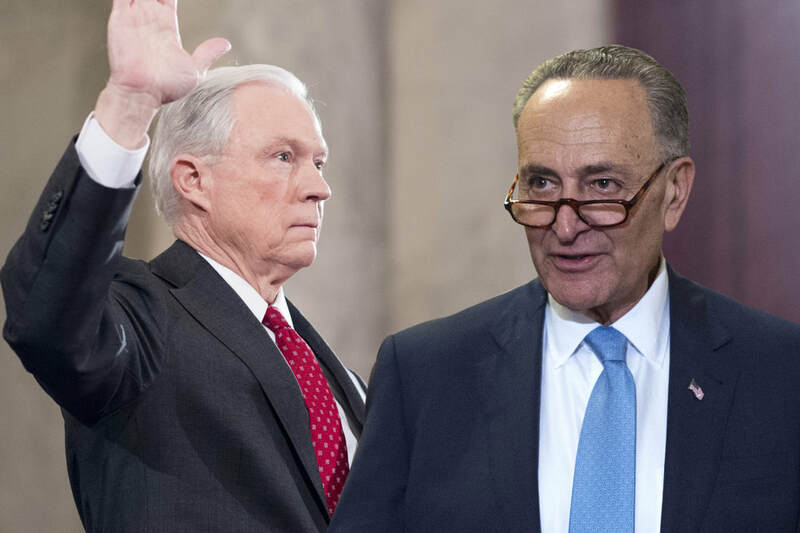 Senator Charles Schumer and his army succeeded at making Sessions powerless. Let us see whether Schumer and the Democratic Party will succeed at doing the same thing to Whitaker. The state of Maryland has already gone to court challenging Whitaker's position as acting attorney general. How far the liberals will go in their bid to stop Whitaker is unpredictable. However, Whitaker must know by now that he is in a ship amid storms.